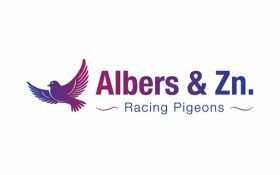 The combination Albers and Son finds its homebase at the steenenkruisweg 44 in Landgraaf, South Limburg, the Netherlands. 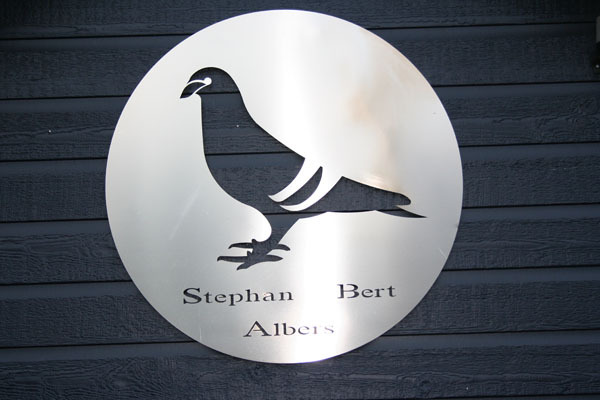 The combination is formed by father stephan and his son bert albers. Stephan Albers is a fancier for more then 60 years! Son bert is infected with the pigeonvirous for more than 30 years! 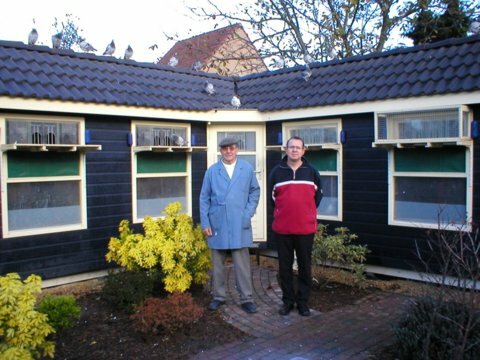 In 1971 stephan albers, a former mineworker moved to the steenenkruisweg where he immediatly built a , stone brick. pigeonloft with a length of 10m1. Over the years, son bert got more and more involved in the pigeonracing. A few years ago stephan moved into a smaller home and son bert has bought the house of his parents, where he in 2004 built a complete new loft. 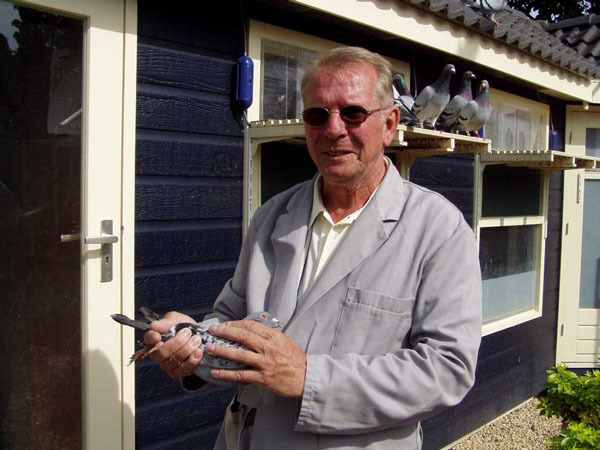 The base for the great succes in the following years was layed in 1968 when stephan bought 10 pigeons from the worldfamous Louis van Loon, Poppel in Belgium. A further very important purchase was done in 1980 when son bert bought a hen from Henk van Boxtel in Kaatsheuvel, the treasurekeeper of the pure Janssen Arendonk-pigeons. 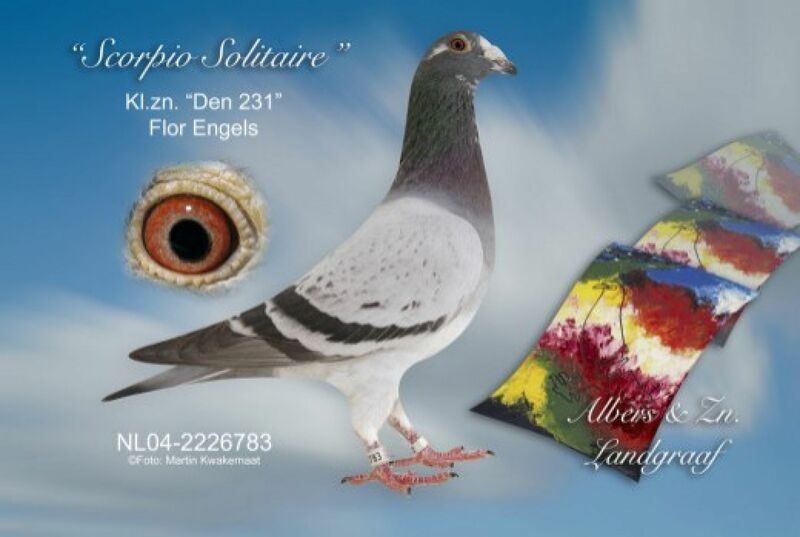 Later on there came 5 pigeons from the combination Van der Hoven-Uyterhoeven, Putte, Belgium . With all of these pigeon we formed a strain that competed excellent under all conditions and distances except for the extreme long distance. Sadly enough this ended abruptly when thieves stole 50 of the best pigeons and then burned the only one year loft to the ground. The daily care for the entire loft is in the hands of stephan because bert has a very busy job as a manager at a ply and softwood-distributor. Bert helps mainly with the administration. The forming of the breedingcouples is also his responsibility. Medical care is under supervision of the known pigeonvet. Dr. Bokamp in Beek. At this moment we are very busy in trying to build a new strain which hopefully brings us back to the successes in the past with the highlites of an 1st National NPO Montlucon, 1st National NPO Sezanne and an 1st National NPO Orleans at Jan DeLiege from Vijlen with a grandchild of our BLUE DREAMPAIR.